Liverpool enjoyed a fantastic first half in Basel, with Daniel Sturridge securing them a 1-0 lead with a stunning outside of the boot shot. All their hard work in the first half was undone within seconds of kick off in the second 45 though, with Kevin Gameiro able to tap in from close range after some poor defending from Alberto Moreno. 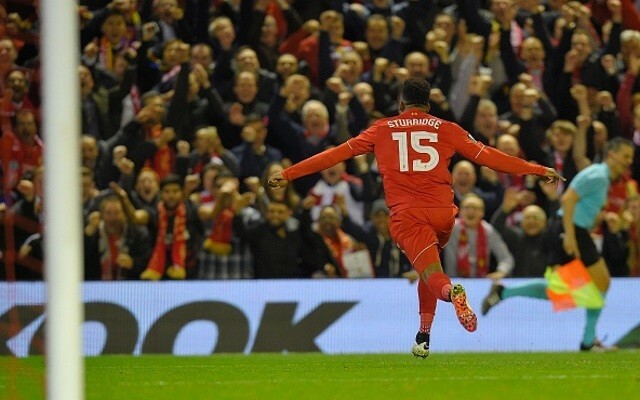 Sturridge’s first half goal was a phenomenal one, curling it into the far corner with the outside of his boot. He gave the keeper absolutely no chance, and Liverpool looked more than capable of grabbing the game by the scruff of the neck and making it their own. Within seconds of the restart their lead was wiped out though, with Sevilla star Mariano making a great run and beating Moreno far too easily. The Spaniard was nutmegged and left for dead, with the Sevilla man ghosting past him like he wasn’t there. He put a great ball into the box in a dangerous area, and Gameiro was able to tap home from close range. Sevilla then began to dominate the game as Liverpool had done in the first half, but the difference was that the Spanish side looked far more likely to take their opportunities. It’s all to play for in this massive Europa League final now, with Champions League football on the line ahead of the 2016/17 campaign.